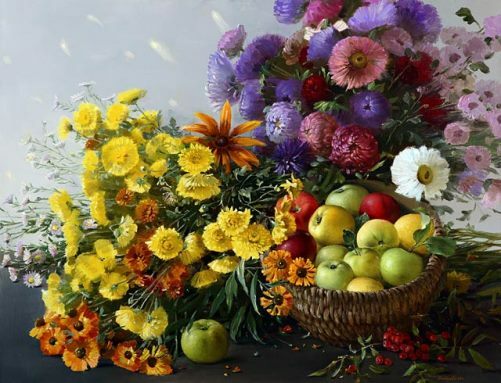 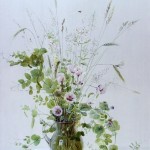 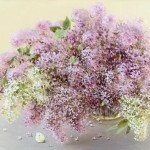 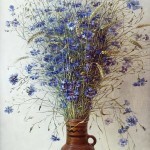 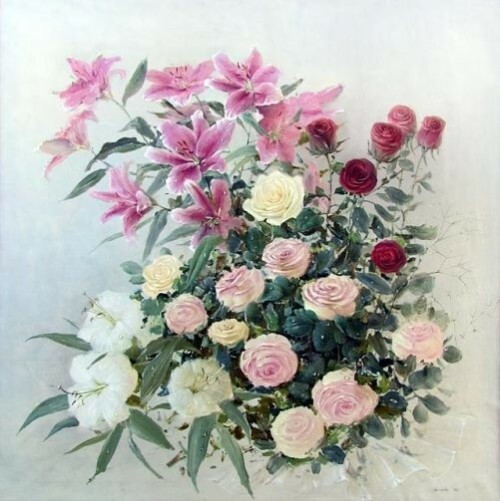 The work of Russian artist Marina Zakharova depicts a special world of plants and flowers. 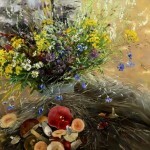 In fact, she works in a synthetic genre, in which is closely intertwined elements of landscape and still life. 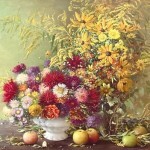 Contact of still life with a landscape and interior design – it is the style of the Renaissance. 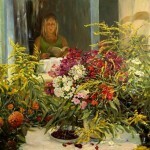 Reality and fantasy become alive in her work. 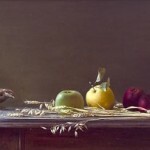 Still Life is illusory-realistic, theatrical and elegant, carefully spelled out, with accurate study of details. 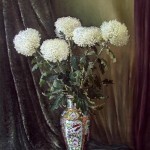 Zakharova has the ability to feel and transmit the relationship of objects, their material beauty. 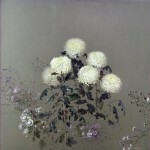 The unifying harmony and the overall tone – two important things in painting, successfully solved in the works of the artist. 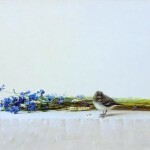 All works of the artist have a lovely and charming detail – a sparrow, butterfly, dragonfly, carefully drawn, detailed and refined. 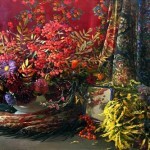 Russian artist Marina Zakharova was born in 1965 in the beautiful old Russian city of Kostroma. 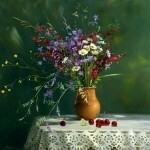 She graduated from the Yaroslavl Art School in 1987. 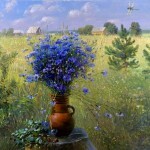 She is a Member of the Union of Artists of Russia. 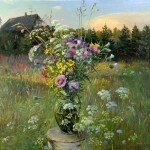 Since 1998 Marina Zakharova has been a permanent participant of Russian and foreign art exhibitions, including the International Plein Air in Germany, Poland and Greece. 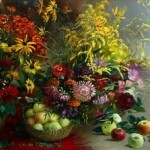 In 1998, she received an award from the President of Russia for creative achievement in art. 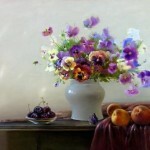 Her beautiful paintings are mostly still life. 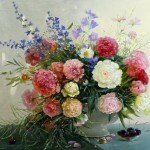 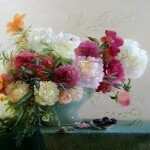 Marina says that she paints the portraits of flowers, but not still life. 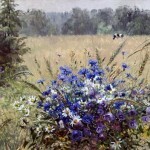 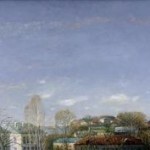 Her paintings are in the collections of Kostroma Art Museum and private collections in Russia and abroad. 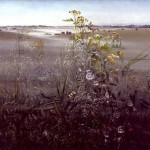 The work of the artist. 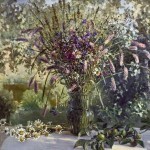 Mixing genres makes it possible to see objects in the natural environment, to feel their relationship, expand the boundaries of perception of the world. 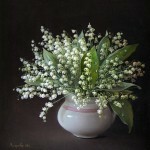 In her paintings, Marina always finds a combination of “large” and “small” world. 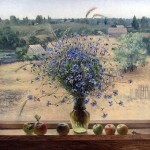 Any corner of the world – a forest, a river, a field, a country house – is a part of this world, composed and compiled by the artist – still life in the foreground.